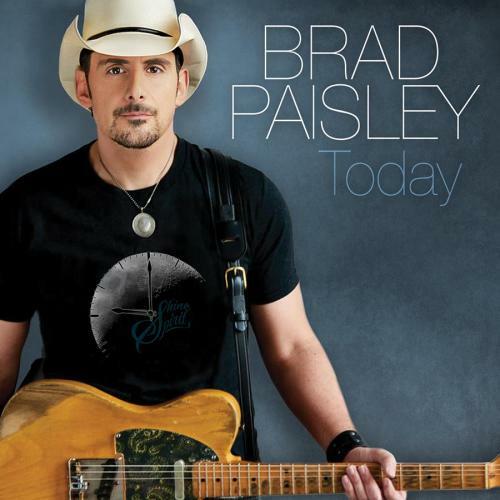 Brad Paisley Announces New Single & Music Video "Today"! Superstar Brad Paisley announces the release of his new single, "Today," which is at country radio now! Currently featured as the iHeartCountry World Premiere track, fans can download "Today" HERE and stream it HERE. View the emotional video for "Today" HERE. Within the first six hours the video was viewed over 1.8 million times and had 50,000+ Facebook shares. Co-produced by Paisley and Luke Wooten, this powerful love song was co-written by Brad Paisley, Chris DuBois and Ashley Gorley. "Today" will be featured on the world-renowned entertainer's forthcoming studio album, his 11th release on Arista Nashville.